I have been working with IPA in past few months and I would like to share my notes about the IPA and AD integration. 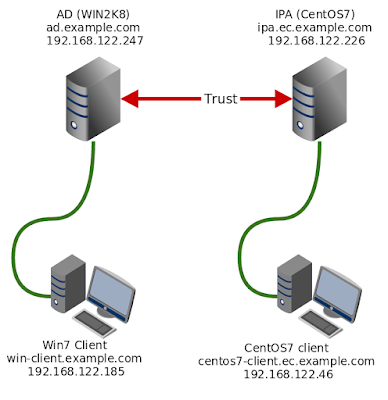 I created the trust between the Active Directory and IPA server. 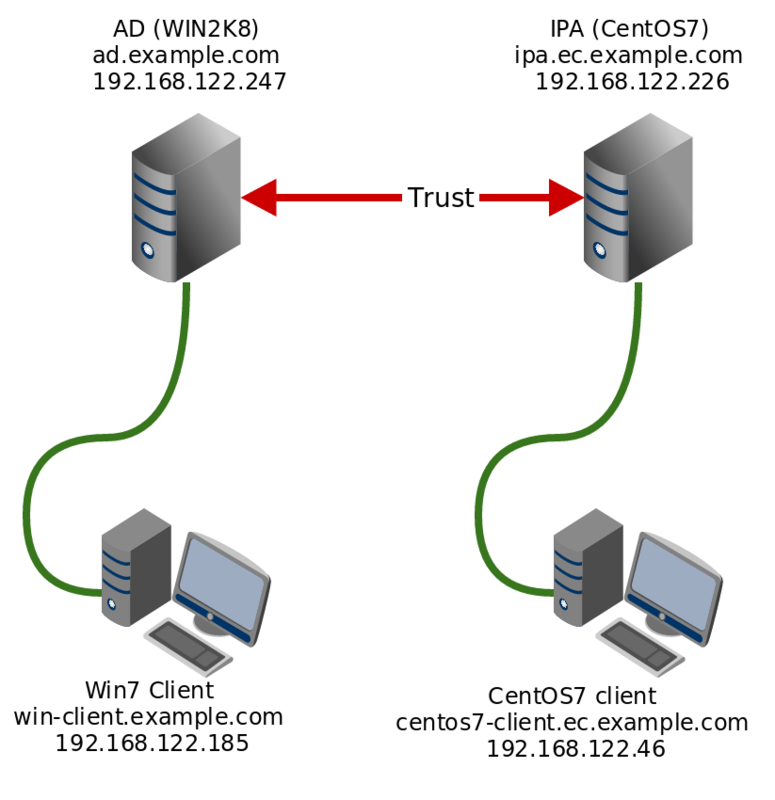 There is one windows client connected to the AD and one CentOS7 client connected to the IPA. Both clients are "registered" into the AD/IPA. Instead of describing the whole installation - I decided to record video contains the AD/IPA installation, client registration and Firefox/PuTTY/WinSCP Kerberos/GSSAPI configuration. Most of the commands and it's description can be found on Google or are obvious. The video has some description, but is't not very detailed.